I love this! 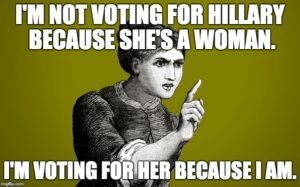 So many people have taken offense assuming that I’m voting for Hillary because she’s a woman. I try to explain that it’s not that simple. This statement says it way better!! I love this blog and appreciate its open minded premise. Thank you. You make it all worthwhile.